Another Keurig deal at Kohl’s! 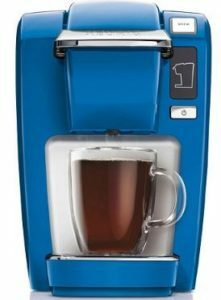 Use coupon code: NOVSAVE15 to drop this Keurig K10/K15 Personal Brewer, already reduced from $124.99 to $99.99, to $67.99 with the code. Shipping is currently free with $50, so there’s no extra charge. You will also receive $15 back in Kohl’s Cash, good for use from 11/27-12/5. This brewer is available in eight colors. It features three cup size settings, an auto shut-off and a removable drip tray. It includes a six K-cups as well as a one year limited manufacturer’s warranty.